WASHINGTON (AP) — TITLE: "Understands"
AIRING: On television in Iowa, Ohio, Virginia, Pennsylvania and Florida, and on the Web. KEY IMAGES: Joe Soptic, a grim-faced former Kansas City steelworker is shown in close-up, talking about how the 2001 shuttering of GST Steel affected his family. The steel firm had been taken over in 1993 by a group of partners including Bain Capital, the private equity firm run by GOP presidential candidate Mitt Romney. As the screen alternates between Soptic, shots of the vacant GST Steel plant rung by barbed wire and a photo of Romney at a conference table, Soptic links Romney and Bain to the cancer death of his wife. "When Mitt Romney and Bain closed the plant, I lost my health care, and my family lost their health care. And a short time after that my wife became ill. I don't know how long she was sick and I think maybe she didn't say anything because she knew that we couldn't afford the insurance, and then one day she became ill and I took her up to the Jackson County Hospital and admitted her for pneumonia and that's when they found the cancer and by then it was stage 4. It was, there was nothing they could do for her. And she passed away in 22 days. I do not think Mitt Romney realizes what he's done to anyone, and furthermore I do not think Mitt Romney is concerned." ANALYSIS: The latest ad by the pro-Obama Priorities USA Action super political action committee, part of a $20 million campaign, is the most intense negative media attack yet on Romney for his 15-year stewardship of the Bain Capital private equity firm and the layoffs that sometimes resulted from the firm's cost-cutting at its takeover targets. Soptic's conclusion that Romney bears some blame in his wife's death is not backed up factually in the ad. She died in 2006, five years after the plant closed, a fact the ad doesn't disclose. 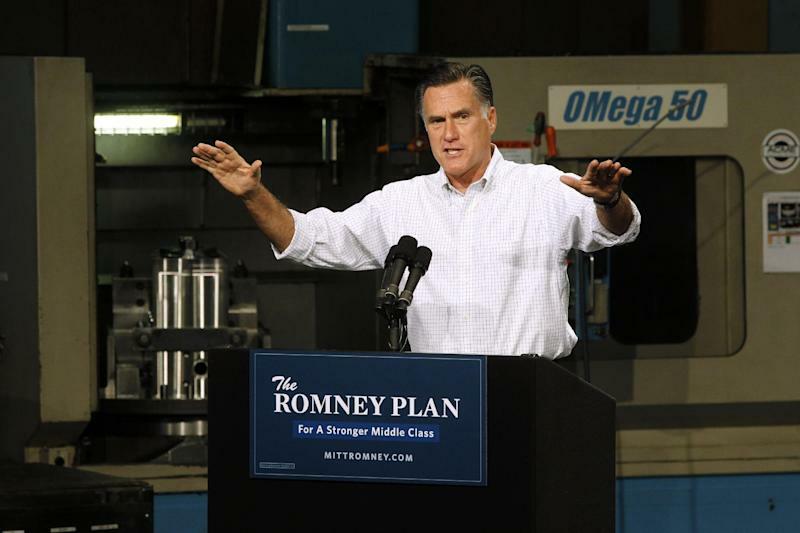 Determining Romney's role in the plant's closing is difficult but also not addressed in the ad. Romney campaign spokesman Ryan Williams did not mention Soptic in his response, instead saying that "President Obama's allies continue to use discredited and dishonest attacks in a contemptible effort to conceal the administration's deplorable economic record." Bain Capital and Romney's culpability is not crystal-clear in the closing of GST Steel. Romney was CEO of Bain when the firm became a majority shareholder in GST Steel in October 1993. Bain was not the only stakeholder; a group of the firm's executives and several other firms also had stakes. Bain put up about $8 million in the $75 million deal. Over the next eight years, Bain held onto its stakes and bought more investments as the steel company grew, merged with a South Carolina steelmaker, modernized and added millions of dollars in debt. When the firm declared bankruptcy in February 2001 and shut down the Kansas City plant, Soptic and 750 other workers learned that their health care coverage, pensions and other benefits guaranteed by the company were rescinded. Romney had left Bain Capital in February 1999 to lead preparations for the 2002 Winter Olympics in Salt Lake City. His campaign has argued that he was no longer in day-to-day control of the firm. A recent Associated Press Fact Check found that Romney had retreated from his managerial responsibilities between 1999 and 2002, but still retained his official role as Bain's founder and chief executive. EDITOR'S NOTE _ An occaional look at the claims in political advertising.